Denver has a long history of police brutality, and although the State of Colorado has made substantial strides in improving trust between police and civilians, there are still police brutality cases in Colorado. In fact, just last year, Denverites were marching down the 16th Street Mall to protest police-related violence. If you were the victim of police brutality, or you suspect that you were the victim of police brutality, it can be helpful to look at the past police brutality cases in Colorado and gain a deeper understanding of the federal law and what you can do about it. Nevertheless, U.S. federal law protects all persons in the United States (yes, all persons, including citizens and non-citizens) from police brutality, and if you were a victim, you can hold the responsible individual(s) accountable by calling Denver CO police brutality attorney Raymond K. Bryant of the Civil Rights Litigation Group. 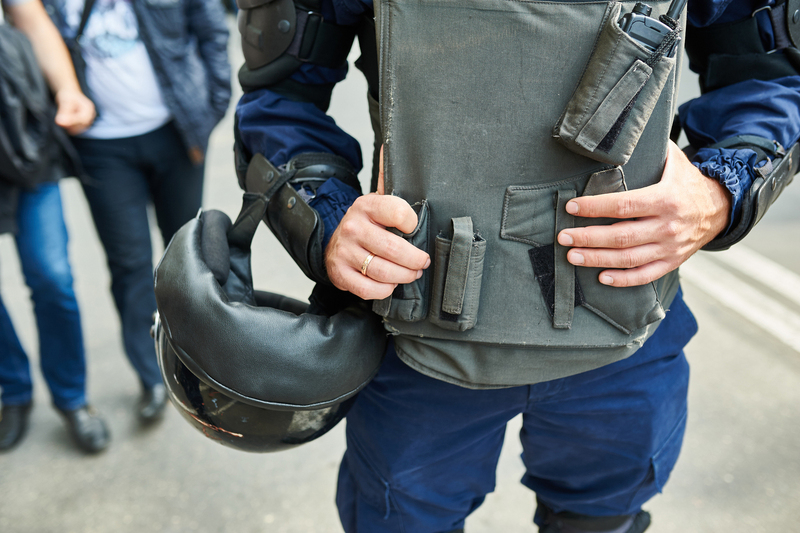 For a free consultation regarding your police brutality case, call us today at (720) 515-6165. Federal laws addressing police misconduct include both criminal and civil statutes, meaning that, in theory, police offers who violate the law can be liable for criminal charges as well as civil charges. For instance, in a recent brutality case right here in Denver, jurors in Denver awarded $400,000 to a blind man who claimed police brutality after he had his head slammed onto a counter by a police officer. Under the federal laws 18 U.S.C. § 241, § 242, it is a crime for “one or more persons acting under color of law willfully to deprive or conspire to deprive another person of any right protected by the Constitution or laws of the United States.” A law enforcement officer acts “under color of law” if he/she is exceeding his/her rightful power. Misconduct under this law, therefore, includes excessive force, sexual assault, intentional false arrests, or the intentional fabrication of evidence resulting in a loss of liberty to another. Furthermore, the “police misconduct provision” (42 U.S. Code § 14141) states that it is “unlawful for any governmental authority, or any agent thereof, or any person acting on behalf of a governmental authority, to engage in a pattern or practice of conduct by law enforcement officers…that deprives persons of rights, privileges, or immunities secured or protected by the Constitution or laws of the United States.” Under this law, it is illegal for police officers to engage in excessive force, discriminatory harassment, false arrests, coercive sexual conduct, and unlawful stops, searches or arrests. However, in order for a police officer to violate 42 U.S. Code § 14141, the misconduct must constitute a pattern or practice and it may not simply be an isolated incident. In the above section, we mentioned a few federal laws, and although these laws make police brutality a criminal affair, it’s still important to consider the federal laws that allow Colorado residents to take civil action for police brutality. The main provision in this respect is 42 U.S. Code § 1983 – Civil action for deprivation of rights. Similar to the criminal provisions, this law explicitly states that any person who causes deprivation of any rights shall be liable to the party injured in an action at law, suit in equity, or other proper proceeding for redress. In 2015, two Denver officers fired at a stolen car being driven by 17-year-old Jessica Hernandez, who was unarmed. In 2015, 13 people were shot by police in Denver. Seven people died in the shootings, including 6 who were shot in a confrontation with police officers and a 7th who died in custody at the Downtown Detention Center (this has been ruled a homicide and remains under investigation by Denver police). In 2013, inmate Isaiah Moreno, who was acting suicidally in solitary confinement, was attacked by guards with tasers. Denver’s Internal Affairs Bureau ruled that excessive force was used. In 2013, the city paid $360,000 to four women who were roughed up by police at the Denver Diner. In 2012, Patricia Lucero was bloodied by two Denver officers. In 2015, the Denver City Council approved a $50,000 payment to settle the case. In 2011, inmate Jamal Hunter was tortured by other inmates in a brutal attack that Hunter claims was facilitated by a Deputy. The Denver City Council approved a $3.25 million settlement. In 2011, Alex Landau, an African-American whom police pulled from a car and beat after he made an illegal left turn, won a $795,000 settlement. In 2010, Marvin Booker died while being restrained in Denver Jail. Denver was ordered to pay $6 million in the settlement. The City of Denver has spent about $20 million in settlements or jury awards over the past ten years regarding police brutality cases. Furthermore, every year, new police brutality cases pop up, and even though the State is taking active measures to reduce excessive force cases, it’s critical to ensure that victims and their families receive justice. If you suspect that you (or a loved one) was the victim of police brutality, make sure to not hesitate and contact Denver police brutality and civil rights attorney Raymond Bryant. Call the Civil Rights Litigation Group in Denver today at (720) 515-6165 for a free consultation.